On a typical August evening CGT enthusiasts visited the glorious garden at Somerford House in Knutsford. 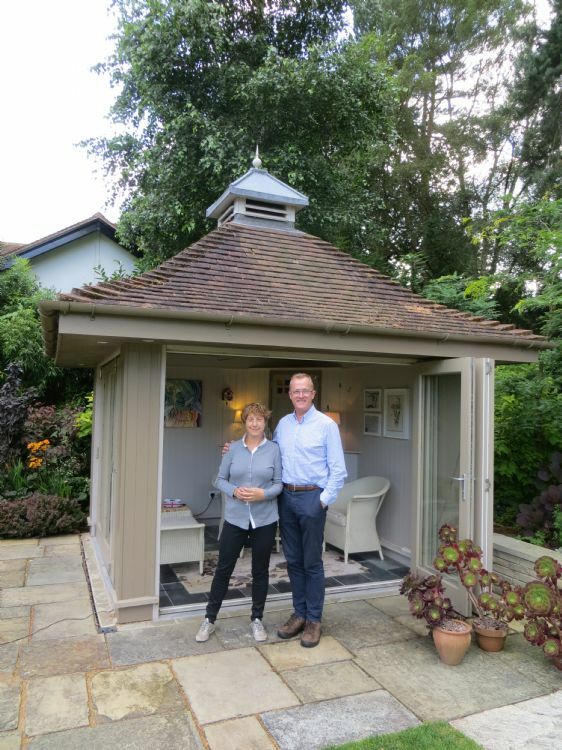 We were delighted to be received by the owners, Emma and Joe Dearman, who spent time talking to members about the garden and how they were inspired by their love of the Arts and Craft movement. The CGT was pleased to give a donation of £136.00 to the National Garden Scheme charity.